1930: Gene Autry recorded “A Yodeling Hobo” in NYC. Released on Champion 45172, Decca 5527, Montgomery Ward 4932 & 8017. Autry sang and played the guitar. 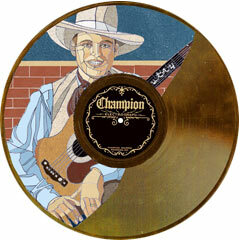 Champion 45172 sold 555 copies for the period ending in September 1936. 1934: Blind Blake passed away. He recorded “Diddie Wa Diddie” on August 17, 1929, in Richmond. It appeared on Paramount 12888 and Broadway 5105 (Blind George Martin).